There’s no doubt that having twins is challenging. First there’s the pregnancy and carrying the babies to term. And after the twins arrive, the real work begins: coordinating sleep schedules, feeding two babies at the same time, buying 500 diapers a month while saving enough to send two kids to college in eighteen years, and maintaining your own sanity throughout. But it’s also incredibly rewarding— if you’re well prepared! 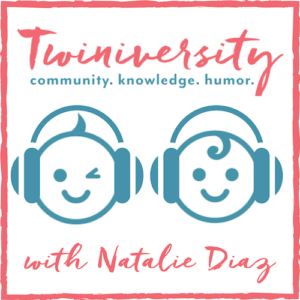 In What to Do When You’re Having Two, national twins guru and founder of Twiniversity (and twin mom herself!) 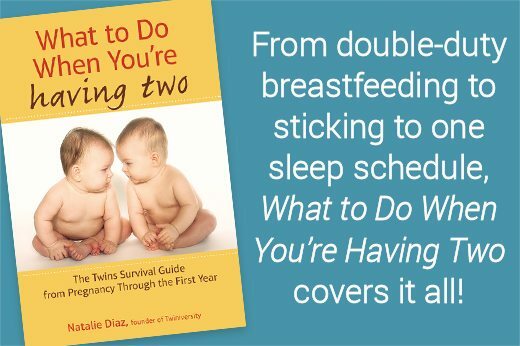 Natalie Diaz provides a no-holds-barred resource about life with twins, from pregnancy and birth all the way through your duo’s first year of life. Packed with tried-and-true tips from the trenches, this is the must-have survival guide for parents of twins. You can purchase the book TODAY at one of the amazing online stores below. “I love this book! It has been amazing, cueing me in on what to expect anywhere from baby registries to keeping a healthy marriage while having twins. It took quite a bit of anxiety off of me. I wouldn’t have known what to do without this book and Twiniversity classes on preparing you for the arrival for twins. I really enjoyed both the book and classes. I feel geared up with support to handle the arrival of our twins with my husband.” – Twiniversity Student Yesenia B. “YOU MUST BUY THIS BOOK IF YOU ARE HAVING TWINS. I have purchased 8 books since discovering that we are having twins. This is by far full of the most useful information. My husband who rarely reads actually sits down and read chapters at a time. 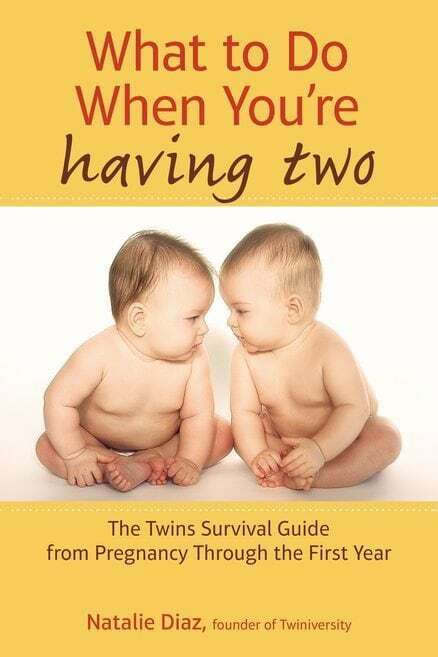 It is very informative and has a lot of great useful info.” – Amazon User Niki M.
“This book is by far, the best book for anyone about ready to have twins. It takes the fear out of raising twins. But here’s why I really love this book: It’s an easy read. It’s clear and concise. It’s lean and to the point. It’s an easy read. It has everything you need to know. It’s a must have survival guide all packed into one. Unlike other parenting books that are filled with information overload, the author keeps it sweet and simple. 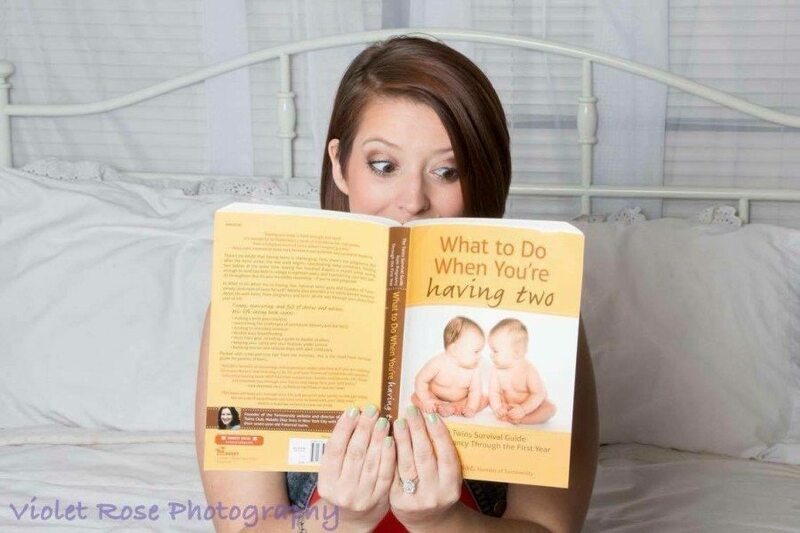 If you’re having twins, it’s the ONLY book you’ll ever need. Trust me, I’ve purchased over 20 of them.” – Amazon User Victor G.
“I deal with new parents all the time as part of an expo I host and blog I write and I always recommend this book to anyone I know expecting multiples. Everything can be incredibly overwhelming, but this book will walk you through it and serve it up with humor. The author is the real deal and won’t lead you astray. It’s intended to be helpful, but it does more than that–it should be a reminder as you go through life with two that others have gone through it, too, and survived…actually, they’ve thrived.” – Amazon User Des M.
Click below to buy “What To Do When You’re Having Two” TODAY from one of our preferred partners.